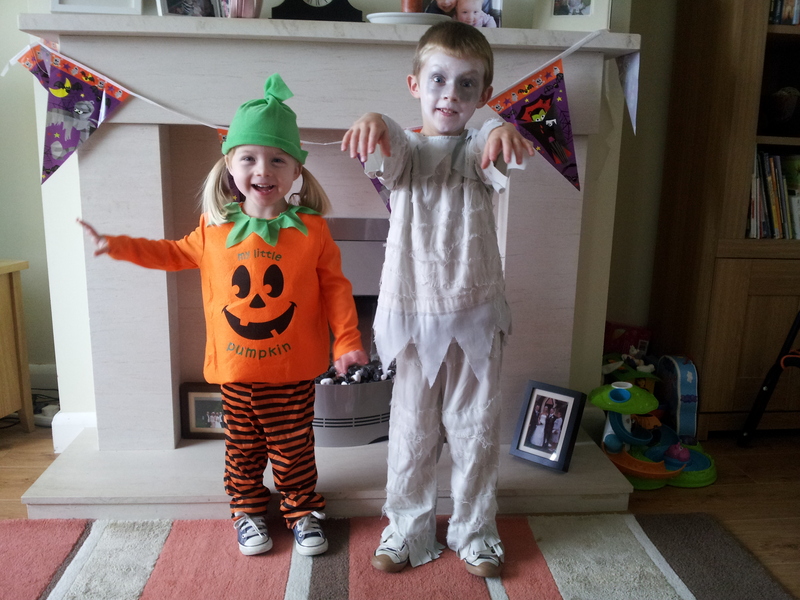 Happy Hallowe’en from a very scary mummy and a cute litte pumpkin! We have already been to one party this afternoon (and ate too many sweets!) but hope to get out for some trick or treating and a fireworks display if the rain goes over this evening. Hope you all have a good one whatever you do! Lucia is due some new compression garments – she is currently down to her last pair and they are just about hanging in there. I am turning into quite the little seamstress as I have had to repair numerous holes in the heels where the seams have split as well elsewhere to try and prolong their life until we get some new pairs. To be honest we have had a few difficulties in getting the new ones sorted but hopefully we have got the issues ironed out and some new pairs should be getting made and sent to us as I type! So this brings us on to a little update on Lucia’s latest measurements. And they are wonderful! It has been over four months since the last measurements were taken and although most of them have gone up slightly (obviously due to her growth), the difference between her left leg and right leg has decreased! In fact, there is less than a centimetre of difference in some of the measurements! You would be hard pushed to see any real difference in her legs which is amazing. Her little feet are also doing great. Her right does still measure a good bit bigger than her left but the most important thing is that her lymphoedema is in great shape – lovely and soft which is the way it should be. It is great getting these measurements done every few months – obviously they are essential for us to get her garments made, but it is also a great way for us to see exactly how well she is doing and that the combination of Lymphatic Drainage that we carry out daily, the compression, walking, running, trampolining, swimming and just overall being a toddler is clearly working well for her. Now we just have to wait for the new garments to arrive. Fingers crossed it won’t be too long. …you must wear your boots. This is sound advice from the very influential Peppa Pig who would never dream of jumping in a puddle without her boots on! However, Lucia has been guilty of this on a few occasions as we haven’t been able to find a pair of boots to fit her – until last weekend! No puddle is now safe – if Lucia has her wellies on it is physically impossible for her to walk past a puddle without launching herself in with both feet! She is delighted to be the very proud owner of a pair of perfect pink wellies and is currently choosing to wear them instead of her converse on a daily basis, whether it is raining or not. It has taken a lot of searching for a very long time to find this pair of wellies. I thought wellies would have been the one type of footwear that we wouldn’t have had difficulty with as they are always wide fitting. But surprisingly this wasn’t the case. Trying to get her right foot in and ’round the corner’ if you know what I mean just didn’t happen. Obviously we hadn’t been looking over the summer months as it was nice and dry, but then came the rain again. And with the rain came the puddles. I came home from work one evening last week and Lucia excitedly told me about jumping in puddles in Nana’s garden. I am so glad she was at my mum’s house that day as I probably wouldn’t have let her do it and get her shoes and compression tights wet – but she clearly had so much fun so why not? My mum just made sure it was the end of the day when her compression was due to come off anyway and she had a ball! And so the welly hunt began again and Lucia and I went into town. We struck lucky in the second shop and I couldn’t believe it when I managed to get both feet into the boots. I just sat on the floor watching her waddling up and down trying to get used to the feeling of them. She loved them so much she refused to take them off and I had to lift her up at the till to let the cashier beep them through! I also bought the next size up so if the swelling on her right foot fluctuates she can wear the bigger size on that foot and the smaller on her left. 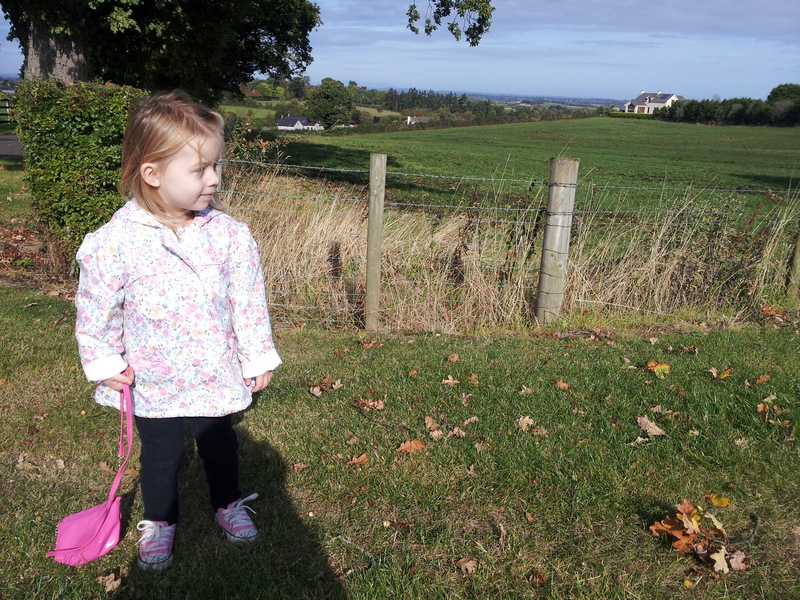 It is amazing how much joy something as small as a pair of wellies can bring to a child (and parents!). 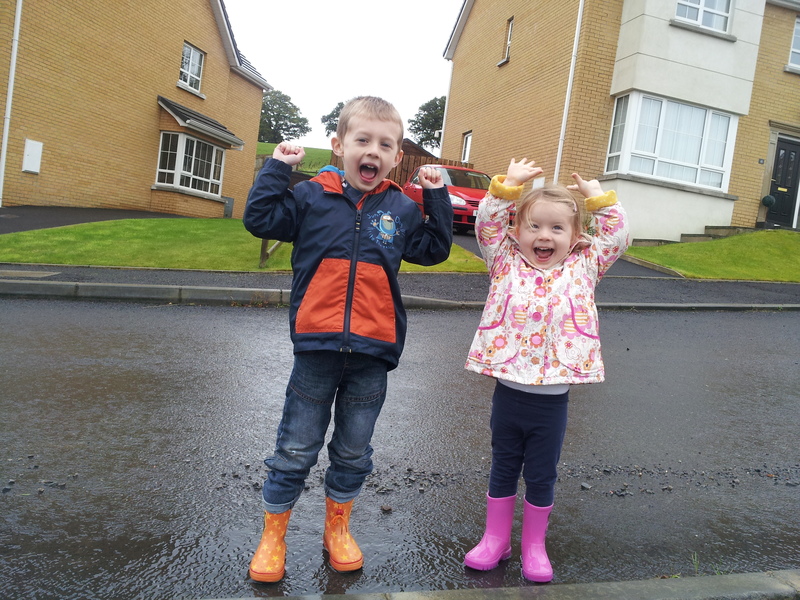 For us it is another little victory with Lucia’s Lymphoedema – for Lucia it just means she can put on her boots and enjoy jumping in puddles with her big brother!